STUCK in a wardrobe rut? Take the shortcut to trend town with a pair (or three) of the season’s chicest kicks. Frilly, but not too fussy – that’s the sandal mantra right now. So think stilettos in punchy hues or metallics, paired with tough-girl ripped jeans and the latest Nineties revival, the ‘going out top’. Extra points if you can work a bit of tulle or velvet into the mix. The humble white trainer gets a makeover this summer with floral prints, embroidery and all kinds of embellishment turning this daywear staple from boring to bling. A pair of pimped-up kicks updates a simple jeans and bardot top combo, or punctuates an all-black-everything ensemble. Minimalist mules, move over – right now it’s all about ornate princess shoes with opulent detailing. Basically, if they look like they could have fallen off Cinderella’s foot at midnight, you’re on the right track. You’d needn’t reserve these beauts for balls, however. 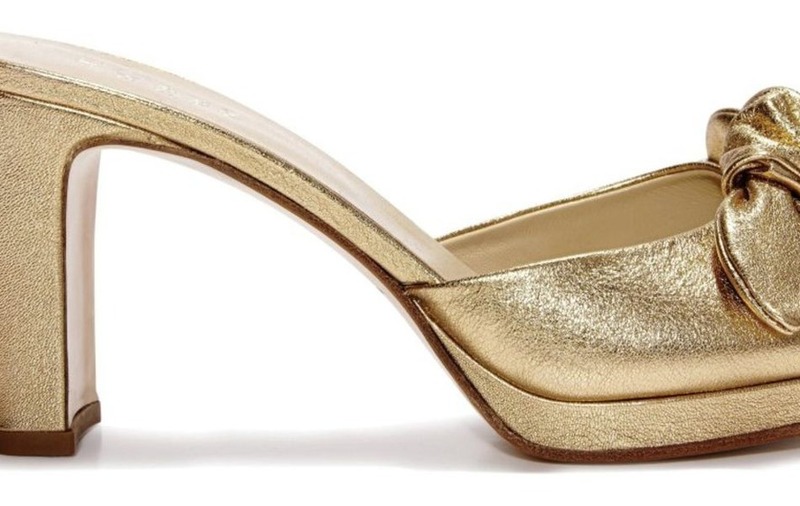 Wear metallic mules with a pleated midi skirt and cropped tee for daytime princess vibes. Like the pool sliders trend but want a bit of lift? Then these chunky sandals are for you. Cool and comfy but not so massive that they veer into Spice Girls territory, they’ll become your holiday staples. While mules may be having a moment, elsewhere embellishment is focused firmly on the backs of shoes, with frills and florals making a strong case for court shoes and strappy sandals. Liven up a much-loved LBD with a pair of these statement stilettos.